A new health hub for central Blackpool has been approved by town hall planners despite fears about parking. The scheme will see a three-storey medical centre built to replace the existing Adelaide Street Surgery and South King Street Surgery, both of which will be demolished and merged into one GP practice. Part of the site was previously occupied by the former Comrades Club which has been demolished. Gareth Hayhoe, representing the Blackpool Clinical Commissioning Group, told a meeting of Blackpool Council's planning committee, the scheme would help meet the need for better health services in the town centre. He said: "It is an area of health inequality where people suffer from premature death compared to other areas of the UK so this area has been identified as being in need of assistance." Mr Hayhoe added the new facilities would also help attract doctors to work in the resort. He said: "Blackpool has difficulties in recruiting GPs and this will help attract doctors to the area." Coun Andrew Stansfield said his only concern was parking with just 18 spaces proposed as part of the scheme. He said: "It is going to cause huge traffic problems in that area. We have problems with all the medical centres in the town. "Once staff come in there will be no parking at all for anyone visiting the centre for treatment." But the meeting was told arrangements could be made for staff parking contracts at public car parks nearby. 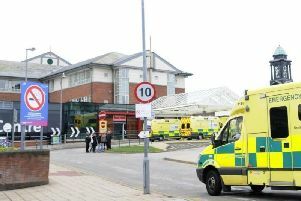 It was agreed to allocate separate spaces at the site to patients and staff, and Mr Hayhoe said the turnover of patients would be quick as they attended their appointment and then left. The three-storey facility will have a ground-floor pharmacy, GP consulting rooms, treatment rooms, facilities for trainee consultants, staff offices, and change and meeting rooms. It will open from 8am until 6.30pm from Monday to Friday.